Mary (?) married James E. Haughton. Catherine (?) married Samuel Haughton. Peter Howard Gilbert married Harriett Eliza Jenkins, daughter of William F. Jenkins and Lucy A. Houghton, in Mar 29, 1851 at Burlington, Calhoun Co., MI, USA. Hugh W. Clyde married Harriett Eliza Jenkins, daughter of William F. Jenkins and Lucy A. Houghton, in Apr 2, 1903 at Monroe Center, Grand Traverse Co., MI, USA. Polly (?) married Phinehas Houghton. Emma (?) married Jerry M. Haughton, son of Nelson Haughton and Jane (?). Elizabeth (?) married Henry H. Haughton, son of Nelson Haughton and Jane (? ), in circa 1876 mar 34 in 1910 census. Fanny (?) married Billy Haughton. William Seitz married Elizabeth Hannah Houghton, daughter of Almon Houghton and Emma Millstead, in Jun 1, 1920 at Kankakee, IL, USA. Joseph Harding Davidson married Eva Isadora Reed, daughter of Nelson Howard Reed and Lucy Ann Ellen Houghton. Charles Leon Rowe married Carrie Lillian Reed, daughter of Nelson Howard Reed and Lucy Ann Ellen Houghton. Opal Emma Rowe married Golda Ben Adams. 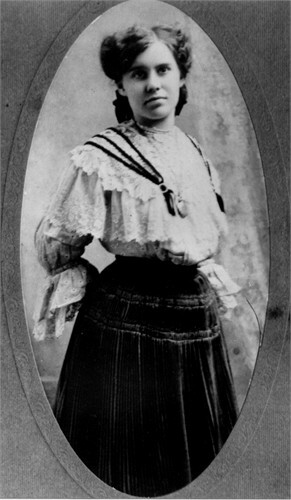 Golda Ben Adams married Opal Emma Rowe, daughter of Charles Leon Rowe and Carrie Lillian Reed. William Brandon Haughton married Kathleen M. (?) in circa 1996. Kathleen M. (?) married William Brandon Haughton, son of William B. Haughton and Virginia (? ), in circa 1996. Virginia (?) married William B. Haughton.